A beautiful collection of memorial plaques with sentimental poem or prayer written over one of our popular background designs. Choose from our full color plaques or engraved wall mounted or stand alone display. Your plaque will be personalized with your favorite poem, scripture, quote and name text for a personalized tribute in loving memory. 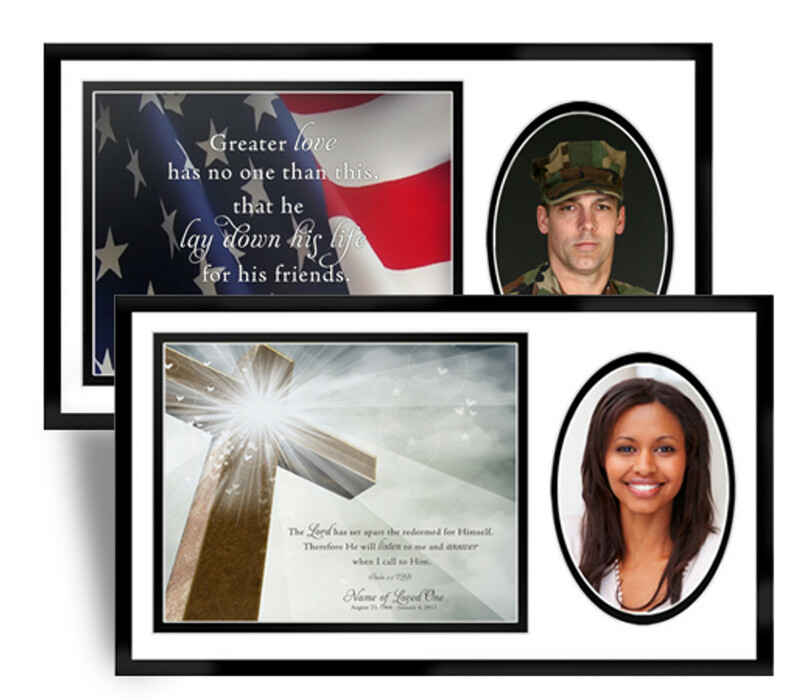 These are a perfect remembrance that can be displayed upon any wall or room.